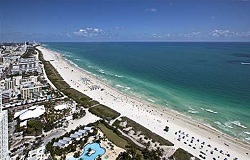 Miami Beach real estate includes luxury waterfront condos, older "low rise" inland condos, townhomes, luxury waterfront homes, older inland homes and even a number of private island communities. Thinking About Buying or Selling in Miami Beach? Nobody knows Miami Beach real estate better than The Jo-Ann Forster Team, your trusted Miami Beach Realtor. We have been successfully selling real estate in South Florida for over 30 years and have a proven track record for delivering exceptional service and results for our clients. Give us a call today at 305-468-4558 or use the form below to contact us by email and let us know how we can help you.